I first became aware of Valerie’s Research when she called to explore how our eSC derived Human Neurons could be of value in her research. When I asked, “How do you plan on using the cells?” she gave me an overview of her fascinating research. She went on to tell me about the role her autistic son, Matthew 26, has played in her quest. This resonated with me because my Godson, Stefan 23 is autistic (see: http://www.trainmanandmom.com/).The purpose of this backstory is to give an overview of why her research is proving a key piece of the puzzle in understanding the biology of Autism. More importantly, given the lack of research funding, I am hopeful it opens the door to new sources like Microyza. These would enable those most impacted to have a direct way to participate. Autism speaks and acts in riddles. This is the story of how Valerie is working to find the clues needed to solves these riddles. Valerie has a bachelor’s degree in chemistry from the University of Hawaii (1972) and a PhD, also in chemistry, from Caltech (1978). She conducted postdoctoral research into membrane biochemistry and immunology at UCLA. She is currently a Professor of Biochemistry and Molecular Medicine at George Washington University in Washington, DC. Her current research has required a leap from membrane biophysics to functional genomics. The intersecting theme is both disciplines involve complex molecular biology techniques and methods. Functional genomics adds the challenge of analyzing the expression of genes that could play a role in disease or disorder and comparing them with the same genes expressed in normal or healthy phenotypes. Then an even bigger challenge is having the expertise and tools to discover the context of how these dysfunctional genes relate to one another. In some of her early research, she found 4,000 genes appear to behave differently in a group of severely autistic people as compared with non-autistic controls—a startling number, considering the human genome comprises 20,000 to 25,000 genes (see: Searching for Autism’s Treatable Roots). But what is causing this large set of genes to behave differently from the norm? By mapping the relationship between these genes and integrating gene expression profiles with DNA methylation data a picture emerged. This led to the discovery of a suspected master gene whose protein expression regulates the expression of many downstream genes known to play a role in Autism. This includes genes responsible for development of the central nervous system and the ongoing regulation of neurotransmitters. The gene Valerie and her team discovered as a suspect is the nuclear hormone receptor RORA (retinoic acid-related orphan receptor-alpha-see: http://www.fasebj.org/content/early/2010/04/07/fj.10-154484.full.pdf). They found the expression of this gene is reduced in autistic brain. So how can a reduction of one gene’s protein have such a profound impact? As nuclear hormone receptor, RORA indeed has the capability of impairing the function of downstream genes. In fact, RORA can impact a lot of them. Further, RORA has the potential to be under negative and positive regulation by androgen and estrogen, respectively, suggesting the possibility that RORA may contribute to the male bias of ASD. (see: http://www.plosone.org/article/fetchObject.action?uri=info%3Adoi%2F10.1371%2Fjournal.pone.0017116&representation=PDF). Note: This is a highly accessed article: > 11,000 people have already accessed this article. She continues to learn more about the biology of RORA. Her recent publication (see: http://www.molecularautism.com/content/4/1/14) validates many of the transcriptional target genes of RORA. This shows that RORA sets off a critical mass of events leading to massive and variable disruption of gene expression. These events are ultimately manifested in the spectrum that marks Autism-impaired social and communication skills, repetitive behaviors, learning difficulties and sleeping disorders. These are breakthrough discoveries. Much more needs to be done. Some of the questions that need to be answered include: Can RORA be up regulated and how could this be done? Can RORA be dysregulated by hormone-like environmental pollutants leading to increased risk for Autism? What impact will alterations in RORA expression have on downstream genes? What are the best methods to regulate RORA…small molecule agonists? gene therapies? Cell based therapies? and so many more. This research requires predictable and ongoing funding. Government funding is harder and harder to find. So many are impacted by children and adults with Austism, given this, I believe this research could be an ideal candidate for Crowd Funding. I will be featuring Dr. Valerie Hu, George Washington University, in an upcoming “News Behind the News”. Here’s a wonderful video that gives an overview of her quest. 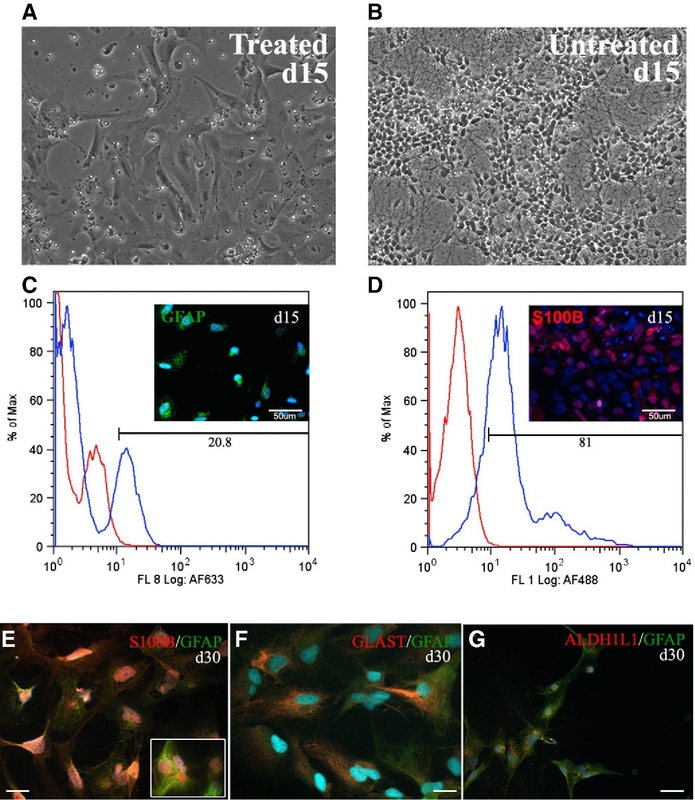 Check out our presentation that features capabilities of our stem and primary cells.